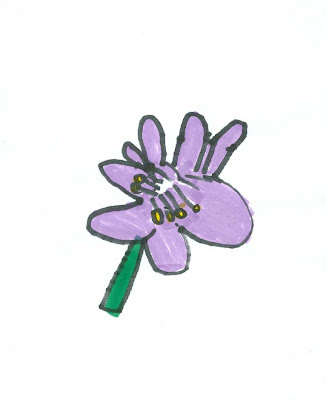 The children draw flowers after carefully exploring the individual parts. For ages 3 to 6. Plan 1 session. Display the flowers on contrasting paper in a way that each one can be seen individually. 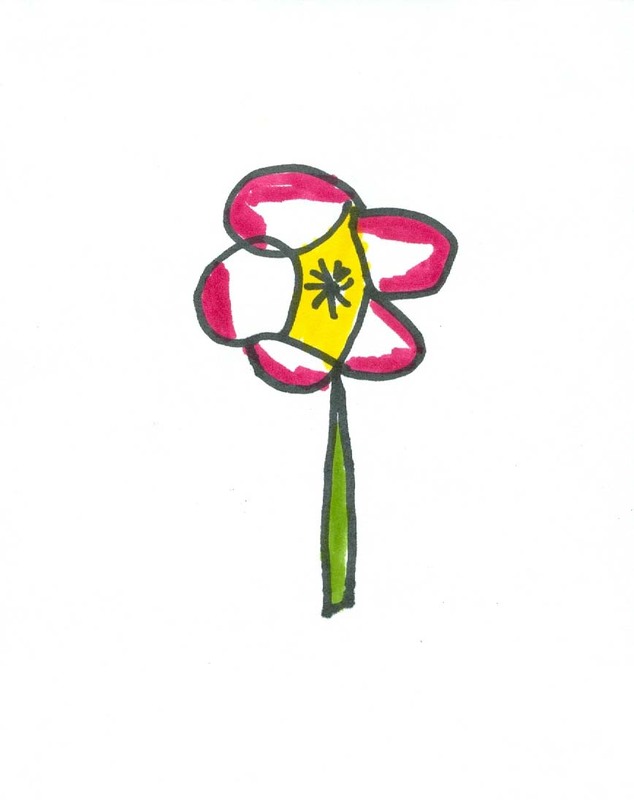 After carefully observing the parts of flowers, explain that each child will choose a flower to explore and draw. Show the children that while flowers may look complicated, they often consist of the same shape, or form, repeated over and over again. Holding up a flower, point out the shape of a single petal and its repetition. Then discuss the pistil and stamen in the flower's center and the stem and leaves. Explain that the children should each choose a flower to take back to the work area. After exploring all of the parts, they will then use black markers to draw the flowers on their papers. Tell the children that after the flowers are drawn, watercolor markers will be available to add color. 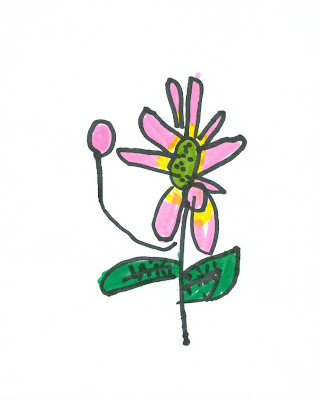 Emphasize that the children will be drawing from observation or what they see, so it is important that they continually refer to the flowers as they draw. 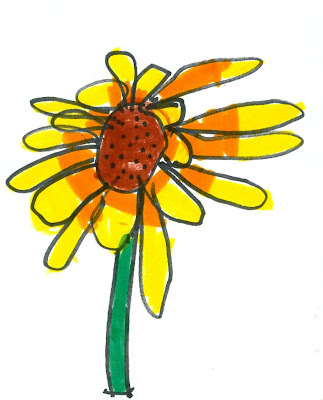 Have the children choose their flowers, draw them with black marker, and then add color with watercolor markers. Choose flowers with simple shapes. For this lesson, artificial flowers work well because the children can easily handle them to explore the various parts without harming them. Silk flowers are close to real ones and can be used year after year. To encourage the children to take their time and include all the parts of the flowers in their drawings, put the watercolor markers aside until the drawings are completed. We often overlook the simple practice of drawing, an activity that is especially valuable to children of all ages. This is a good project to give the children experience using their eyes for careful observation, making drawing less inhibiting and more rewarding. Ask the children to identify the drawn flowers with the ones on display. 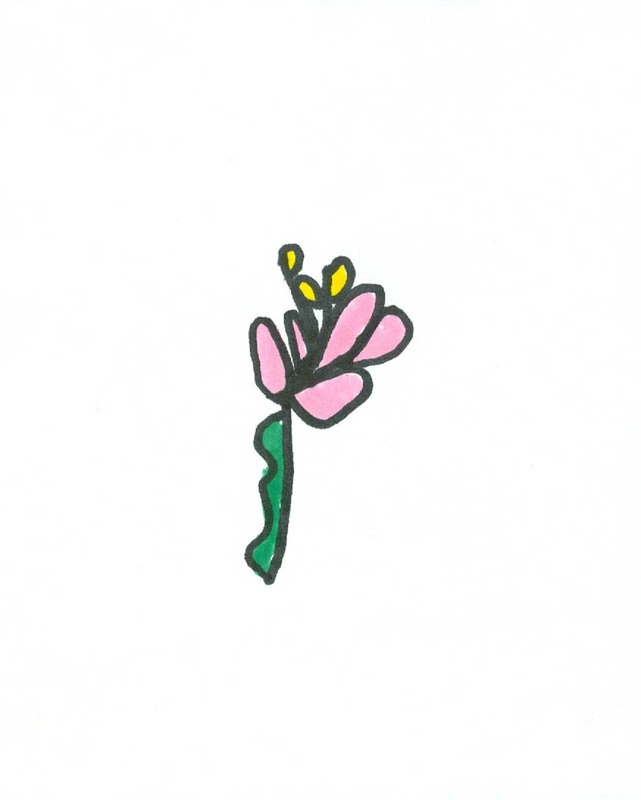 Discuss the details in the drawings which help us to identify the flowers. Compare how some children saw the same flower in different ways. 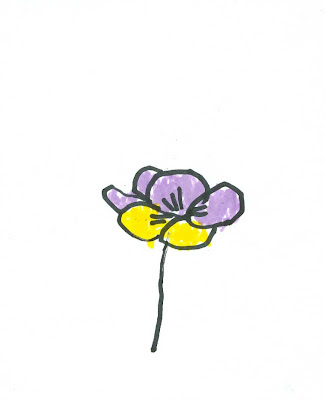 I already know how to draw flowers so I don’t need to choose one. Can I draw another flower on my paper? My flower doesn’t have any leaves. Can I draw some anyway? Today we are practicing drawing what we observe or see, so it is important to choose one of the flowers and look carefully at its parts. Try choosing a flower that you have never seen before. Draw only a single flower on your paper. If you have extra time, you can take a second piece of paper to draw another flower. If your flower has no leaves and you'd like to add some to your drawing, try looking at the leaves from another flower. Click here to view this lesson in a printer friendly format.